DaShawn Hickman successfully defended his PhD thesis titled "Platelet-inspired Nanomedicine for the Hemostatic Management of Bleeding Complications in Thrombocytopenia and Trauma". Congratulations, Dr. DaShawn Hickman! Dr. Pawlowski presents at hemostasis and wound healing session at the SfB annual conference, 2018 in Atlanta on translational development of synthoplate technology by Haima Therapeutics LLC. Ujjal, Aditya and Michael joined the local Society for Biomaterials chapter's organizing team as Vice President, Treasurer and PR chair, respectively. Congratulations Ujjal, Aditya and Michael! Dr. Sen Gupta becomes the chair of the membership committee for SfB focused on enhancing the membership involvement and activities within the society. Michael Sun has successfully defended his R21 proposal and achieved another milestone for his PhD program. Congratulations, Michael! Ujjal Didar Singh Sekhon has successfully defended his R21 proposal and achieved another milestone for his PhD program. Congratulations, Ujjal! 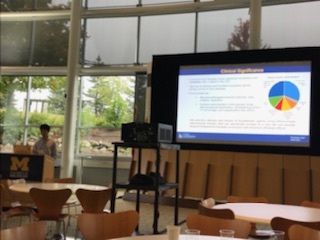 Ujjal Didar SIngh Sekhon and Michael Sun presented their respective researches in the podium presentation sessions at the Society for Biomaterials' annual Biomaterials Day. They both won best presentation in their respective categories. Congratulations, Michael and Ujjal! DaShawn Hickman has been awarded with the American Heart Association's predoctoral fellowship. Congratulations, DaShawn! DaShawn Hickman has successfully defended his R21 proposal and achieved another milestone for his PhD program. Congratulations, DaShawn! 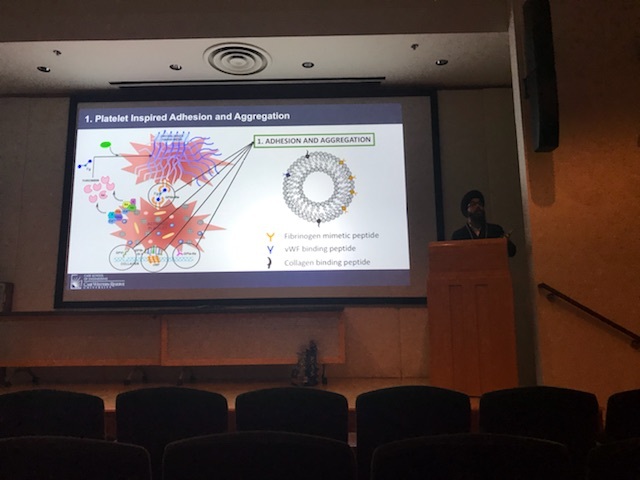 Aditya Girish has successfully defended his R21 proposal and achieved another milestone for his PhD program. Congratulations,Aditya!